Mr. Carlson has served as independent counsel to Special Committees, Boards of Directors, and individual directors of publicly-held REITs and other companies regarding corporate governance and transaction issues. In addition, Mr. Carlson also assists biotech companies in their formation, IP planning, licensing, fundraising, clinical trial and CRO contracting and governance. 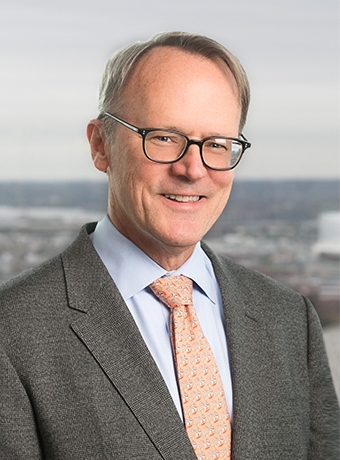 Mr. Carlson served as chair of the Maryland State Bar Association Business Law Section Council (2012-2013) and, since 2016, has chaired that Section’s Committee on Corporation Law which proposes amendments to the Maryland General Corporation Law for consideration by Maryland’s General Assembly. He presently serves on the MSBA’s Board of Governors and has served on economic and community development task forces, including the Downtown Partnership of Baltimore Board of Directors, the Community Relations Commission of Baltimore City and the President’s Roundtable of the Greater Baltimore Committee (GBC). Mr. Carlson presently serves as a director of Greenspring Fund, Incorporated, a mutual fund, and several other companies. Mr. Carlson has served on the Editorial Board of Medical Innovation & Business (a Lippincott Williams & Wilkins journal). He has lectured for The Maryland Institute for Continuing Professional Education for Lawyers, Inc. (MICPEL) on "Business Organizations," "ABC's of Inc.’s and LLC’s," and "Buy Sell Agreements," and has guest lectured at The Johns Hopkins University Carey School of Business. Following graduation from law school, he served as law clerk to the Honorable Norman P. Ramsey of the United States District Court for the District of Maryland. Firm president Bill Carlson's article in the Maryland Bar Journal answers several inquiries on the prospective application of the amendments to Section 2-405.1 of the Maryland General Corporation Law. 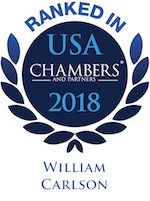 Chambers USA has cited Shapiro Sher Guinot & Sandler among the leading firms in Maryland.